Three Cornered Copse is a triangle of partly wooded downland that separates the residential streets named for it, these being Woodland Drive and Woodland Avenue. 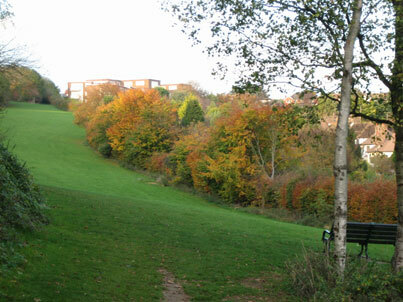 It steadily climbs the Northern slope of the Goldstone Valley, forming a woodland corridor from Hove Park to the South Downs National Park. The Friends of Three Cornered Copse meet together regularly to keep it beautiful for the love of it.